The path to autonomy can be treacherous. In the early 90s, my International Relations professor would describe leaders in newly independent Africa and Middle East nations as being “between a rock and a hard place” during the Cold War. He used it so much, that it became a catchphrase. However, I always heard the phrase, “Between Iraq and a hard place.” Every time he’d say it, I’d look at my Libyan American classmate and say, “is he talking about Jordan?” I enjoyed the class. It satisfied my curiosity about current affairs, but I was also interested in a world that existed outside of white supremacy, of colonialism, or slavery. Similar to those newly independent nations, our American Muslim communities also navigated uncharted territory, pressured by political forces outside our control. Inspired by the thoughts of Alija Itzbegovic who wrote Between East and West, by W.D. Muhammad who told us the sun would rise in the West, I believed in the relevance of Islam to addressing the social ills in my society. Many of these I faced personally, including family instability, substance abuse, street violence, and lack of education opportunities. I had no idea about the complexities of building Muslim communities, but I became a firebrand within the campus bubble. National conventions like ISNA seemed like a distant vacation place that only my affluent friends could afford to go in order to participate in the halal meat market. From my position on the periphery of community life at the Muslim Community Association and South Bay Islamic Association, I grew tired of being upheld as some example of perseverance through obstacles. I didn’t want to be the female version of Bilal , to inspire nonBlack Muslims, “See how beautiful Islam is, she believes even with that boulder weighing on her chest.” I wanted to exist free from the things that were weighing me down and feel free from being tethered to the hard place that was my past. At the time of my conversion, I only knew one Muslim family, a Black American family, and had little clue about the social and political dynamics of community life. Shortly after converting, I found two small scarves to cover my head and soon found myself developing relationships with Muslim men and women from the Philippines, Iran, Albania, Libya, Palestine, Nigeria, and Syria. Although I had a lot of passion for my faith, I was by no means an ideal Muslim convert. I also found the community to be less than ideal. Dreams of racial egalitarianism faded as white converts were put on pedestals, as some of my peers told racist jokes, as colorism was rampant, and as our community was divided along ethnic lines. Whenever I brought up issues about race, some people blamed colonialism, others said I was making things up and or that I was too sensitive. Being Black, being a hijab wearing woman, being a college dropout, being rejected by family, being abandoned and left to fend for myself, that weight started to weigh me down more than I could bear. It would take me years to reconcile with Muslim community life. It was only when I started blogging in 2006, over a decade later, that I began to find my voice and wrap words around the pain I experienced. Islam and the Blackamerican came out while I was in graduate school in 2005. While many Black American Muslims nod their head in agreement when Dr. Sherman Abdul Hakeem Jackson describes the power dynamic between first and second generation American Muslims and Black American Muslims (described as the Immigrant/indigenous Muslim divide), there are many nonBlack Muslims who fail to grasp how much truth that book speaks to our reality. Privilege can provide blinders to the overt and subtle experiences racism. In my early quest to understand my place Muslim communities, I found anti-blackness in classical Arabic literature. This drove my quest in graduate school to understand pre-colonial racial formations in Muslim majority societies. I wanted to find myself in my tradition outside of the Bilal trope. I also wanted to be equipped to have those difficult conversations about race. Back then, there were a few bloggers who came into Islam through the Black experience. They also wrote about race and Muslims, these bloggers include Charles Catchings, Umar Lee, Tariq Nelson, Jamerican Muslimah, Marc Manley, Abdur Rahman Muhammad, and Umm Adam. Whenever we wrote about racism our comments sections would explode with heated exchanges that included people dismissing our views or sometimes it would devolve into ad hominem attacks. In 2007, Muslim Alliance of North America tackled the issues of race in Muslim American communities head on. But they faced push back and I remember reading some non-Black blogger who wrote that we should just get over it with vociferous agreement in the comments section. In 2012, Hakeemah Cummings started a campaign, “We are All Slaves of Allah.” Then Dawud Walid took the mantle in 2013 by tweeting at Muslims who used racial slurs. The chorus picked up and since its founding in 2014, MuslimARC has helped sustain the conversation about race in Muslim communities. My Arab American friend, who is a mother of a mixed raced Black child, told me about her daughter’s experience at an Islamic school. Weekly, she gives her daughter a pep talk to counter the negative messages her peers give her about being too dark with fuzzy hair. While she has a loving extended family, she has no friends at her school. Another Sudanese family pulled their child out of the same school. Whenever parents share these stories, and there have been too many, I realize the gravity of my work. It is also deeply personal. My daughter is only four and I dread the experiences she may have at school. Positive peer experiences contribute to Muslim youth developing their religious identities, but many Black Muslims in multi-racial communities are bullied or socially isolated. This continues in college, with Black American Muslim youth disassociating from the MSA. While I know a few Black American Muslim families who are three generations strong, I also know other families whose kids cite their experiences of marginalization as a reason why they don’t practice or even identify as Muslim. I know firsthand the devastating consequences of not feeling a sense of belonging in the Muslim community. Between Islamophobia and anti-Black racism, the cultural production of Black American Muslims is at stake. Facing these pressures, Black American Muslims are often have divided loyalties and must make difficult choices. Do we try to integrate into communities that seem to not want us or do we work on forming havens where we can be free of Islamophobia and anti-Black racism? The principle that drives my work is that we are one family, an Ummah. So, I hold a mirror up to my brothers and sisters as a reminder. For that reason, I will not disengage from any community or organizations that seeks to serve our collective interests. I believe that Black American Muslims are like the Ansar (Helpers) and Muhajiroon (Immigrants) and we truly need each other to thrive in this society. Despite the model that we have from the Seerah, I have faced criticism from Black American Muslims for wasting my time working within predominantly immigrant communities. They stress the importance of building up institutions within the Black American Muslim community. Without institutions and wealth, Black American Muslims remain on an uneven footing from their counterparts. Questioning the benefit of my work, several Black American Muslims have urged me to refocus my energies to support Black American Muslim self reliance. While I support Black American Muslim self reliance, I also believe in the importance of building bridges because we need allies. Inner city community organizations rely on support from affluent donors in the suburbs. Sometimes these relationships can reify hierarchies in our community. My work is to dismantle paternalistic attitudes and relationships by training organizers and community members about systemic oppression and our shared interest in addressing it. With this in mind, I work to build relationships with individuals and organizations. It is difficult to address problems such as lack of diversity on their boards, exclusion of Black and Latino Muslims, and ethnocentric messaging that erases the plurality of the American Muslim experience from an adversarial relationship. My hope is that working with organizations, we can make important shifts in policies, cultures, and practices. For working with these organizations, I also face criticism and at times derision. This year, I have faced criticism from Black American Muslims for working with ISNA to organize a panel addressing the Muslims and the New Jim Crow and for facilitating the ISNA Black Lives Matter Roundtable. On the day I landed in Chicago for ISNA 52, I was tagged in a thread critiquing the Black Lives Matter as a kumbaya event. I have also faced criticism for working with CAIR. I have been reminded of the importance of “do for self,” a motto of Black self determination. Some have likened my anti-racism work as an attempt to earn the respect of non-Black Muslims. In my Counter Violent Extremism organizing, I have been warned by Black American Muslims to not be used as a token by non-Black Muslims in their battles. Others encourage me to utilize my energies in Black led initiatives, rather than work on multi-racial Muslim campaigns. I also get criticism from non-Black Muslims for my engagement with mainstream Muslim organizations. While I issue statements and am not above a protest or drop the mic moment, I haven’t followed their calls to boycott ISNA, the White House Iftar, or other organizations. I believe in speaking my truth. I have weighed in on the marginalization of Palestinian American voices during the MLI controversy and critiqued Counter Violent Extremism programs from a racial justice lens. And because I take a stand, some people think that also requires I break off relationships. In November someone sent me a screenshot of a conversation where I was the subject. They were discussing their concerns about my acceptance of the MPAC Community Change Makers Award. They were concerned I would be co-opted and stop my critique of the Safe Spaces Initiative. People approached me during the months leading up to the award ceremony to express their opinions about what I should do or say. But for the most part, they expressed their support telling me the award was well deserved. As I said in my acceptance speech, my critiques are out of love because I believe we can do better as a community. I was deeply humbled to be considered a Community Change Maker and be acknowledged alongside the phenomenal Nahla Kayali, Founder and Executive Director of Access California Services, and Dr. Shamim Ibrahim, Founding Executive Director of Niswa Association. 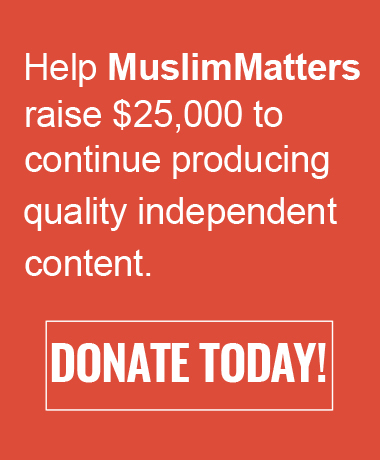 While they provide direct services, MuslimARC is a racial justice education organization. We have changed conversations, but these women have changed lives. Yet that recognition helped normalize anti-racism work in Muslim communities. After I received the award, someone messaged me to express disappointment over my decision. It does hurt in many ways to think that people would take rather take a cynical view of that moment. This individual argued that my decision was an unprincipled act of hypocrisy because I had criticized MPAC. As someone who values being understood, it bothers me more that others do not want to acknowledge the reasons why my acceptance of the award is guided by my own principles. I am not sure what space some people hope for me to operate in, not at ISNA, not in multi-ethnic coalitions, not with established institutions, but maybe from the periphery in operating between a rock and a hard space. 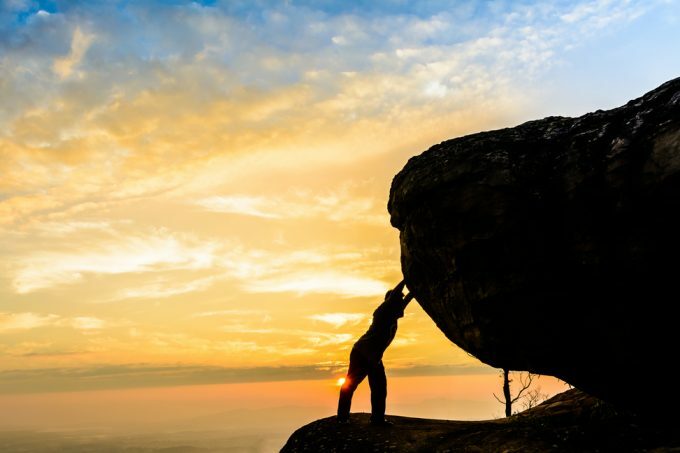 Sometimes doing anti-racism work makes me feel like Sisyphus, punished by pushing a boulder uphill. There are times when I feel the weight of that rock crushing down on me. Everyone who has done work in the Muslim community knows that heavy criticism comes with the job. I know I am not beyond reproach. Because of social media and my accessibility to volunteers and the public, hardly a day goes by without me receiving negative feedback about my work. I take it all to heart, sometimes too heavily. I understand concerns about our tactics and methods of anti-racism work: whether too confrontational or too soft. Even in our most successful campaigns or programs, there is no time to celebrate. We have to look at it with a critical eye and think how we can do better. When making choices, I always keep my identity, my context as an African American Muslim woman. I often seek advice from trusted friends, family, community members, and above all guidance from my Lord before making decisions. I also take into account the vision of MuslimARC and think about the long road to liberation. In truth, MuslimARC is beyond me as an individual. But people will look at my actions to affirm or delegitimize this work. And that’s also a heavy weight. To get out from between the rock and a hard space, I have had to carve out my own space in our community. But I may also have to begin to dig even deeper, beyond my comfort zone, to create help create inclusive spaces where we can thrive and struggle for a world that is just. Fascinating article! The true dilemma of the thinking black American Muslim: separate or integrate. The Fantasy of black American nationalism ended with the decline of the Nation of Islam. In one of his famous lectures, Malcolm X talked about blacks doing business with blacks alone and not relying on “outsiders.” If we properly understand the teachings of Malcolm, we see new interpretations and adapt them to our circumstances in the modern world. We seek to integrate, but as Muslims, with our identities undiluted. There is no black bubble where money goes in and never goes out. If we truly want such a setup, then we must move to Africa and even then, tell me which African country is insulted at the idea of Western aid? We must work to build wealth as individuals, not because we are black, but be cause the proper practice of Islam takes money. 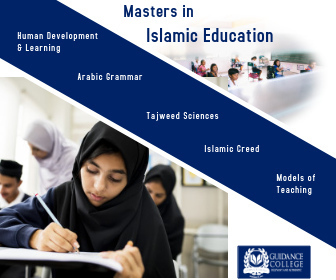 Islamic education takes money. You have to have time to go to the mosque to learn and that means you have to have enough money for leisure. It takes money to build a mosque. It takes money to go on Hajj. Having a middle class or better income is not a black struggle. It’s a Muslim thing. I am an African American Muslim. The biggest challenge we face in our double bind in America is not going backwards and debating things that were settled 50 years ago. The biggest obstacle to our unity that I see is us getting our due respect from the immigrants. Sometimes in this we are our own worst enemies. In the last year, I have seen over and over old black American Muslims, for reasons that totally baffle me, who want to resurrect and legitimize Elijah Muhammad. This guy called himself a messenger, who spoke directly with God after Prophet Muhammad. He impregnated six teenage girls outside of marriage in the 60s and sat silently while his people gunned down Malcolm X. As individuals, we must strive to create success in the dunya as we build for our Akhira. But we must never lose sight of the fact that our goal is not to please men or be seen as good by other people. Our goal is Allah (swt). When black American Muslims use the term “the honorable Elijah Muhammad,” we are telling the greater Ummah that we don’t mind shirk and fornication, because a black man did it. Elijah was NOT honorable and using this term demeans us as people and demarks us as a people who do not understand basic Islam. Allah determines our risk. But we as individuals determine if we will stand with the good and against the bad, even if the bad happens to have dark skin or champions pseudo black nationalism. May Allah guide us. Loved this very much. The work you are doing is absolutely necessary – building bridges within the Muslim community among the different groups is key. Though we have a great Black Muslim community here in Portland (the masjid/community center that our Black brothers and sisters attend to on the East side of the city, was recently lost to fire), it is clear that much of the community don’t value their place as much as their own. We recently had a fundraising event at our Islamic school (itself which has moved into a new building), but it was noticeable that the crowd was not as large as for other events, though still a good crowd by Allah’s Grace. Being a South Asian Muslim, I notice more of the outside picture, but as far as those allies that subgroups, such as the Black Muslim community need, I’m glad that those who did attend the fundraising event or those who help behind the scenes, in secret, are doing their part. It is encouraging, but as you’ve surely seen, there is still plenty of work to be done. Once again, so proud that the Muslim community at large has someone like you Sr. Margari. May Allah (swt) continue bless you with success, strength and patience as you move forward. Feel sorry that you recieve negative feedback . But does that feedback really matter If the Purpose is the Pleasure of Allah(swt)You are doing great work , Sis. Loved this very much. The work you are doing is absolutely necessary – building bridges within the Muslim community among the different groups is key. The true dilemma of the thinking black American Muslim : separate or integrate.